Now, thanks to San Francisco clothing maker Betabrand, clowns are both "in and out." 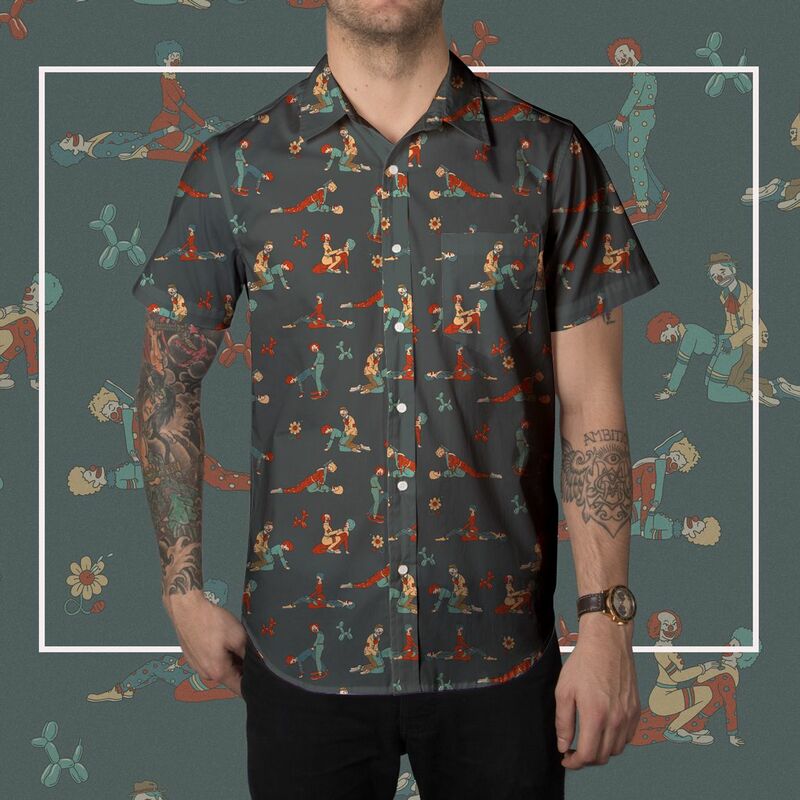 Their "Clowna Sutra" men's shirt takes its inspiration from the Kama Sutra obviously, but features more red noses, wigs and oversized shoes than the original. There must be some real funny business going on at Betabrand, as this silly/smutty short-sleeved shirt was actually designed by the company's own founder and CEO, Chris Lindland. It's currently available for $57.80. Since 1946, the Clown Egg Register has collected blown eggshells that clowns hand-paint with their distinctive makeup, in order to claim that particular makeup as belonging to them; by custom, clowns do not copy each others' faces.